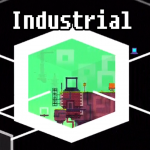 The Industrial Area, with its brick and neon color palette, metal pipes, railings and supports and shifting platforms, is finally ours to explore and conquer! To start, let’s get a door map up here. 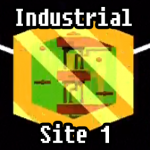 There’s a door to get a bit, so go ahead and check those places first, then it’s off to Site 1. 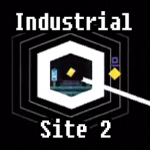 Site 1 is almost entirely focused on platforming puzzles and bit collection. Really not much for us to show you here, suffice to say that those platforms force shift your position. Just have patience and jump when the perspective is correct. Moving on up, there’s even more bits and even more platforming and perspective puzzles. However, now there’s something else: a chest! Let’s go grab it! Again, not difficult. Wind up the nut so you’re high enough to make the jump then just jump off. This chest nets you a Treasure Map which is used back in the area just before the Industrial Hub. For our guide’s purposes, this place is Lighthouse – Climb 2. If you stayed or if you’ve just come back, let’s continue on with Site 1. 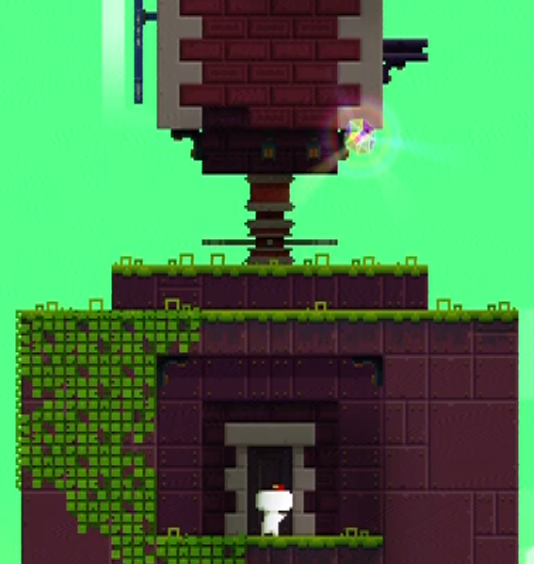 Climb up past the chest to the top of the tower (which gets pretty darn high) and enter the door there. This place has a cube in it, which makes it all kinds of super important. Or, at least one kind. Let’s go get that cube! Cube – Here’s another easy cube for us! Jump on the ladders and patiently wait for the rotating block in the middle to spin to its appropriate location. Don’t rotate anything yourself, and everything will be just fine. 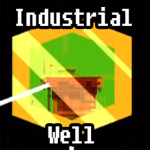 After that, let’s head back to the Industrial Hub. 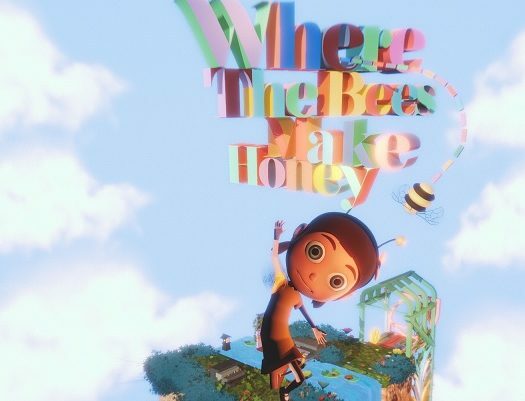 Let’s take a peak inside of the Windmill area and see what we can find. For starters there are some bits to collect, so let’s grab those. 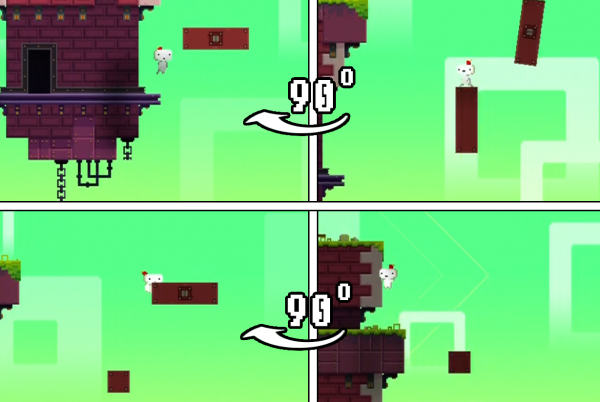 Mid-way through the level is a pivot-platform puzzle that’s simple, but still a puzzle. Just use it to shorten the gap between the bit platform and yourself, then make the jump. After that, rotate the platform 180, then hop onto the opposite platform. Here you’ll want to match up the platforms so they form a bridge, then continue on your merry way to the windmill. Owl – …because there’s an owl! The owl will perch himself on that orange tree right next to the windmill, so be ready to talk to him. Because owls talk. After you’ve had your conversation with the avian creature, head through the locked door if you’ve got a key. If not, come back later because… well because you have to. 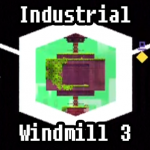 Cube – Once inside, rotate left then patiently wait for the windmill turning post-majigger to show you a door, then politely enter it before it rotates away and is lost for all eternity. After going through the door, there will be a cube locked away in a chest. Beat the chest senseless, or just open it, and you’ll have yourself a mighty-fine cube! There’s also a bit here. Grab that. 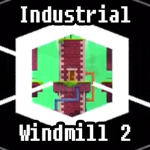 Head back to Windmill 1 to continue the adventure. Upon returning, make your way down to the bottom of the windmill to find yourself a door which you should go through. Luckily there’s a door to go through, and you’re going to go through it. Once here, you’ll note how very column-filled this place is. There’s a puzzle coming up, so start charging up your brain now. Is it charged? Okay good. Let’s figure this out then. Bit Puzzle – First up, let’s face the side of the windmill with the door on it. Head over to the left platform, then rotate that door-room to the left. This will make the ladder-door side face the windmill. Then, whip around to the other side and, still facing the door side, rotate that door-room to the left as well. This puts the ladder-door side facing the windmill as well. Now, with both rooms facing correctly, you’ll be able to climb the first ladder, teleport to the other side, then climb up to the top and collect all the bits! Once you’ve collected all the bits, head over to the door that’s on top of the massive nut and bolt lift you climbed up on. There’s just a bit in there you’re going to want. Go through the door and into the amazing wonderment that is rotating blocks. Each of these blocks rotates from horizontal to vertical periodically. The key here is to jump onto them when they’re flat, and jump off of them when they’re standing up. After you’re done here back up to Windmill 2 and enter through the door found at the base of the windmill to continue the journey. Here we have what could quite possibly be the strangest puzzle ever. If you play with the pivot on the bottom, you rotate the inner cube. 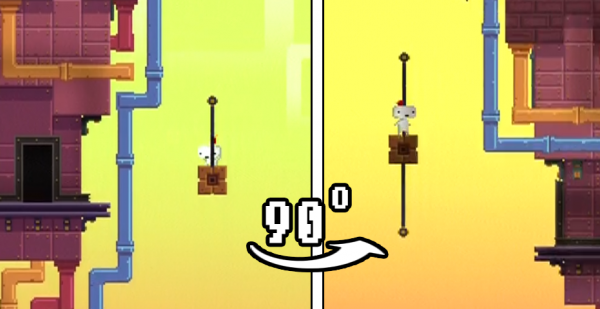 If you rotate the pivot on top, you shift around the outer rectangle. 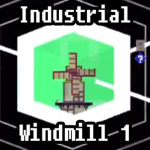 The goal here is to somehow make your way to the top of this final windmill and grab that cube. Enter the door and let’s continue the pursuit of this cube! Once inside you’ll notice several columns with pistons on them that jut upward suddenly. Simply jump on these, wait for them to go off and soar to the next platform. Make your way to the top, return to the outside world and grab the cube. Once you’ve done that, hit the warp gate to return to the Industrial Hub. 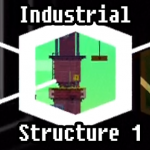 Last on the list is Structure 1, so let’s head there and start climbing on stuff. 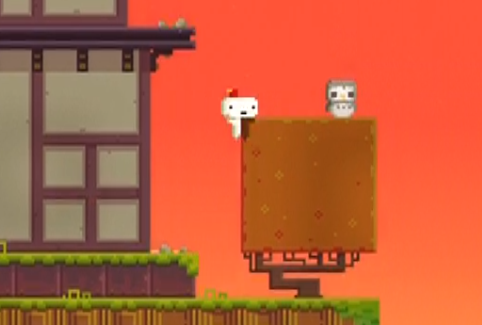 Here we have another platforming element introduced, the slowly moving platform along a line… platform. They’re simple for now, but they get tougher later. Go ahead and simple-climb your way up this place and up to the top of the first structure. There’s a locked door here, so if you have a key, now’s the time to use it. Locked behind that door was the entrance to one of our major areas, the Sewers. We’ll make our way up these platforms by rotating them such that the ends link up as the platform approaches the end of its line. Jump on the first platform then rotate right and wait for the platform to reach its destination. Once you’re on the second link, rotate back to the left for the third link. Once you’re done here jump down the well and you’ll find yourself in strange, green place. This, my friend, is the Sewers.